I somehow neglected to feature these Halloween Scary Jars from Carolyn's Homework until now. Well oversight corrected y'all. I love these super scary jars for Halloween. Planning a Halloween party or haunted house? 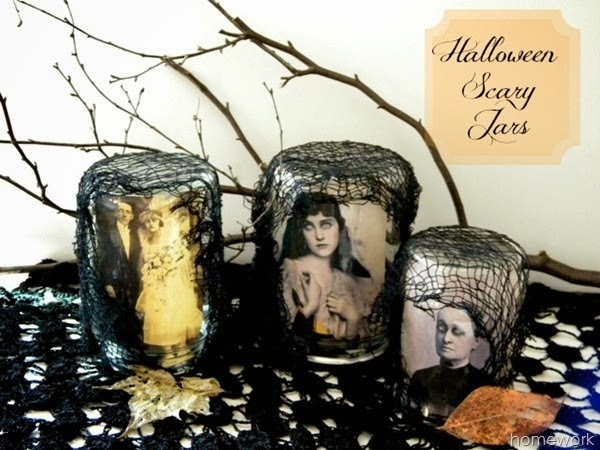 Add these super scary jars to the decor for a super fun fright. Please head over and pin from the original source.